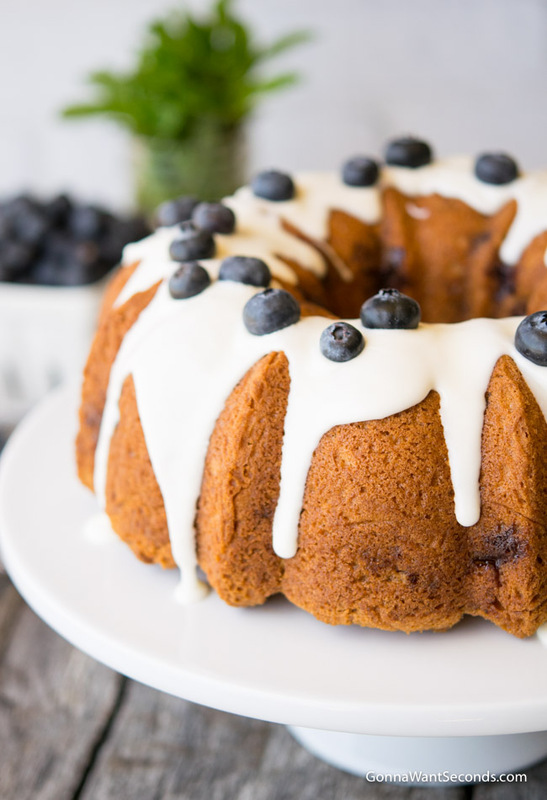 This Easy Blueberry Coffee Cake is made with sour cream, loaded with a double layer of blueberries, then topped with a lovely glaze. It bakes up tender and super moist and can be made with fresh or frozen berries. Perfect for any season. 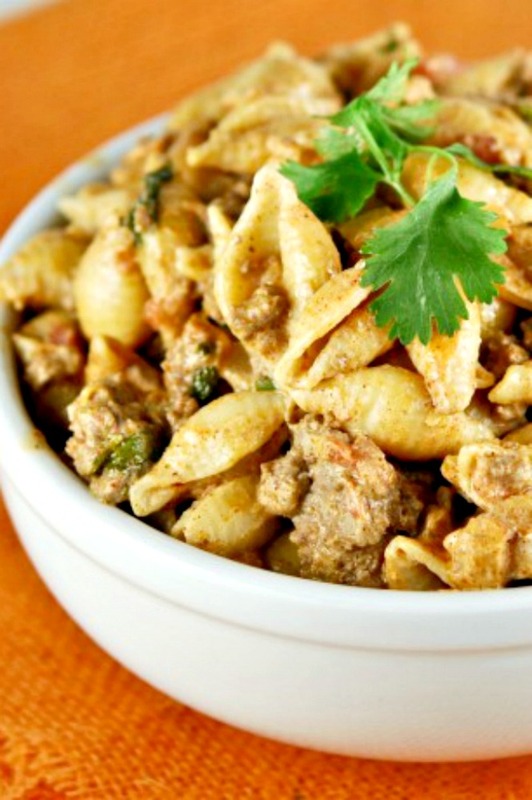 This recipe is SO delicious it’s almost ethereal! 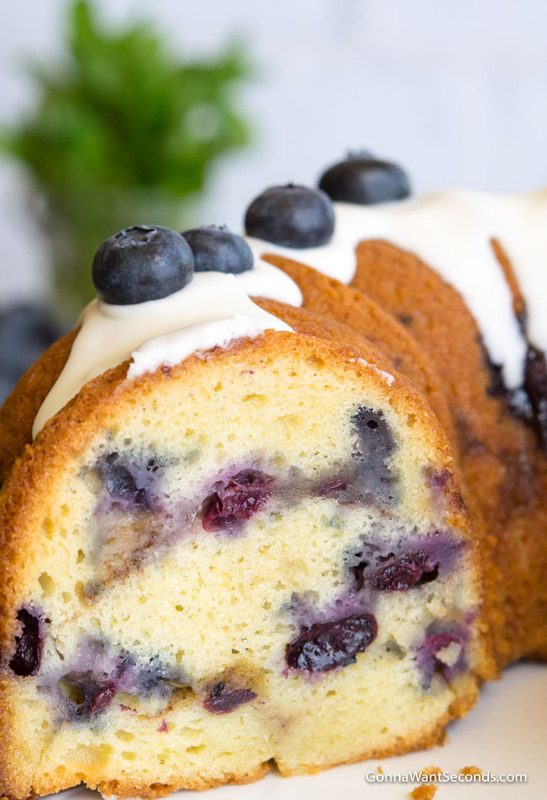 This recipe for Blueberry Coffee Cake is easy to make – and it’s absolutely to die for. It’s an all-occasion kind of recipe; perfect for Saturday mornings on the patio or serving to friends with a hot cup of coffee, there’s really no wrong way to serve this Blueberry Coffee Cake. Nothing says summer like blueberries, but you can make this coffee cake year-round. In fact, it’s a huge hit at holiday get-togethers. It keeps well on the counter at room temperature, and your guests can simply grab a piece as they’re passing through. In this blueberry coffee cake, sour cream is the star ingredient – just a cup of sour cream gives the cake that extra moisture, resulting in really tender, delicious cake. Be sure you’ve got a couple copies of the recipe on hand – your friends will be asking you for it! Well, first because of nothing pairs as perfectly with coffee cake as coffee. Secondly, even though recipes for coffee cakes have evolved over the centuries, the premise behind them is still the same: they’re a social cake, less formal than, for instance, a layer cake. Of course, you can absolutely serve a piece of this blueberry coffee cake alongside a hot cup of coffee. Is it mandatory? No. But coffee and coffee cakes have a long history together, beginning in the 16th century. Some people say coffee cakes were born in Germany, while others claim their origins came from the Netherlands. Regardless of where they came from, coffee breaks became popular in Europe in the 1600s. These coffee breaks were, in essence, a bunch of people taking a morning break to grab a bite to eat, to chat, and of course to caffeinate with a good cup of coffee. But coffee cakes back then were unlike the coffee cakes we know and love today. In fact, they were more like sweetened pieces of bread than cakes. It wasn’t until the recipes began to become more popular in America that we started baking them to resemble cakes. Americans added ingredients like chocolate and berries to coffee cakes, making them more cake-like than bread-like. So, why do they call it coffee cake? Some coffee cakes have coffee in them. But there aren’t that many recipes that call for coffee as an ingredient anymore. What it all boils down to is where you’re from. In England, for example, a coffee cake is a sponge cake that’s been flavored with coffee. And if you’re using an old-school cookbook, your recipe may call for coffee. For the most part, though, coffee cakes today don’t contain coffee. You’ll find cinnamon coffee cakes, coffee cakes with fruits, nuts, sour cream and more. There are also variations on coffee cakes. For example, a lemon blueberry coffee cake or a blueberry cream cheese coffee cake is wonderful variations to this recipe. You may even find something like blueberry coffee cake muffins. To make a long story short, there’s usually no coffee in coffee cakes. But you can bet your biscuits that they all taste good with coffee. Do you need to refrigerate coffee cake? Whether or not you refrigerate your coffee cake comes down to personal preference. Strictly speaking, your cake will keep just fine on the counter for a few days. Just cover the dish with some plastic wrap or tin foil and enjoy your cake all weekend. That said, this is a blueberry coffee cake with sour cream. You may feel a bit squeamish about keeping your cake out on the counter. If so, it’s perfectly fine to tuck your cake in the fridge. Of course, you’ll want to keep it covered so that it doesn’t absorb any other flavors. 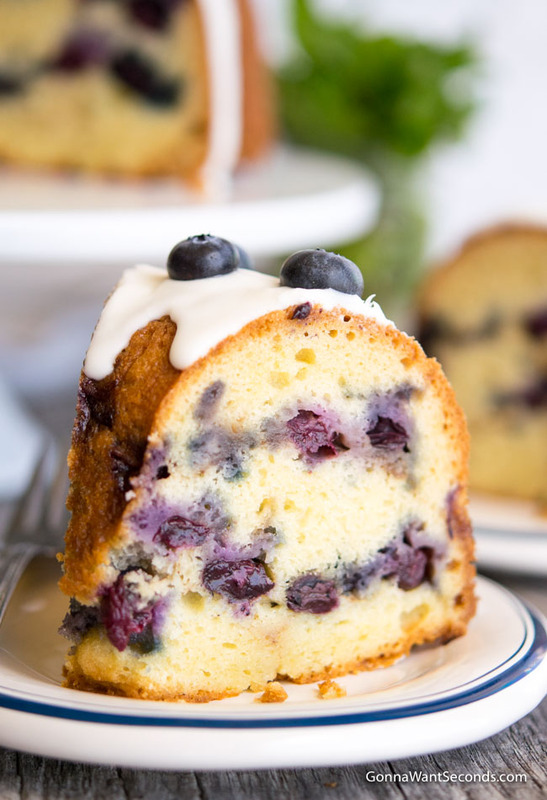 A blueberry sour cream coffee cake like this one will last about a week in the refrigerator. Do eat it within that week, though. If you leave it any longer, it tends to dry out. I mentioned that you can serve this coffee cake year-round. But let’s face it. You’d be hard-pressed to find fresh blueberries in the middle of December. That begs the question of frozen blueberries – they’re readily available all year and are relatively inexpensive. Fresh blueberries work best in this recipe. But if you’re in a pinch and can’t find fresh, frozen blueberries will work just fine. There’s a trick to it, though. Make sure you don’t let the blueberries thaw. Measure them out into your batter while they’re still frozen. If you let them thaw first, your batter will turn a lovely shade of purple. Now, keep in mind that you’ll find differing opinions on this. As I mentioned, there are dozens of variations of coffee cakes, and each cook might have a slightly different opinion. The blueberry coffee cake Paula Deen makes, for example, calls for either fresh or frozen blueberries. The blueberry coffee cake Ina Garten makes is pretty strict when it comes to using only fresh blueberries. Feel free to try the recipe both ways and see which blueberries work better for you. 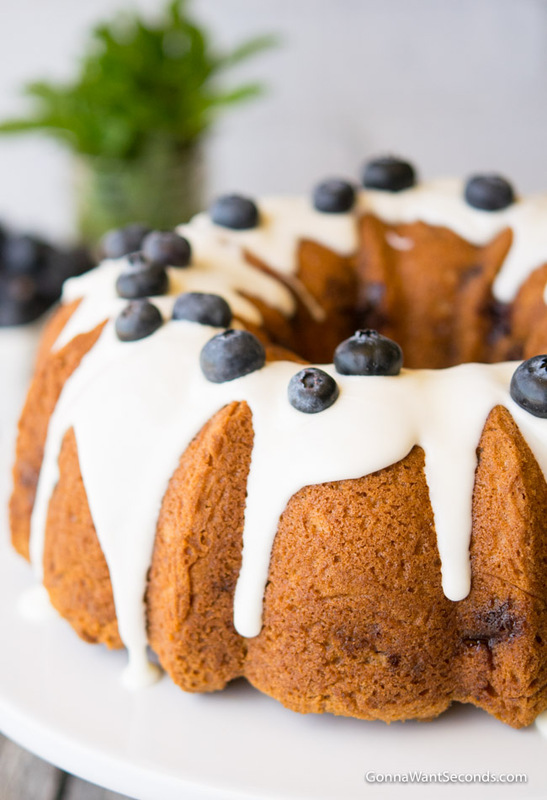 This Easy Blueberry Coffee Cake is made with sour cream, loaded with a double layer of blueberries, then topped with a lovely glaze. It bakes up tender and super moist and can be made with fresh or frozen berries. Perfect for any season. 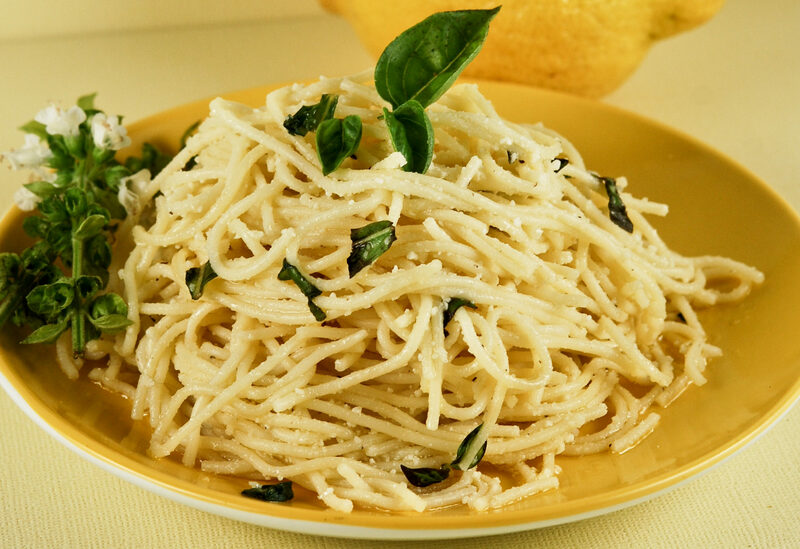 This recipe is SO delicious it's almost ethereal! Grease and flour a bundt or tube pan; Set aside. Preheat the oven to 350 degrees. Cream butter and sugar together in a large bowl until light and fluffy. Add in the eggs one at a time, mixing until yellow disappears, then the vanilla. In a separate bowl, whisk together flour, baking powder, baking soda, and salt. Add to cream mixture alternating with the sour cream until well combined. Pour a third or the batter into a prepared baking pan, spreading evenly. Sprinkle half over the brown sugar mixture over the batter in the pan. Place half of the blueberries on top. Repeat layers then top with the remaining batter. Bake until the cake tester inserted in the center comes out clean, about 55-65 minutes or until. Allow cake to cool in the pan, set on a wire baking rack, for 10 minutes. Remove from pan and let cool completely on wire baking rack. Meanwhile, prepare the glaze. In a medium mixing bowl, whisk the powdered sugar and 2 tablespoons of milk together until smooth. Add more milk as necessary to obtain a pouring consistency. Drizzle glaze over cooled coffee cake. Garnish with fresh blueberries. Perfectly sweet ­– I’ve been making this recipe for a long time, but that’s not to say I haven’t tried others. I’ve just found that, quite simply, this cake is the best. 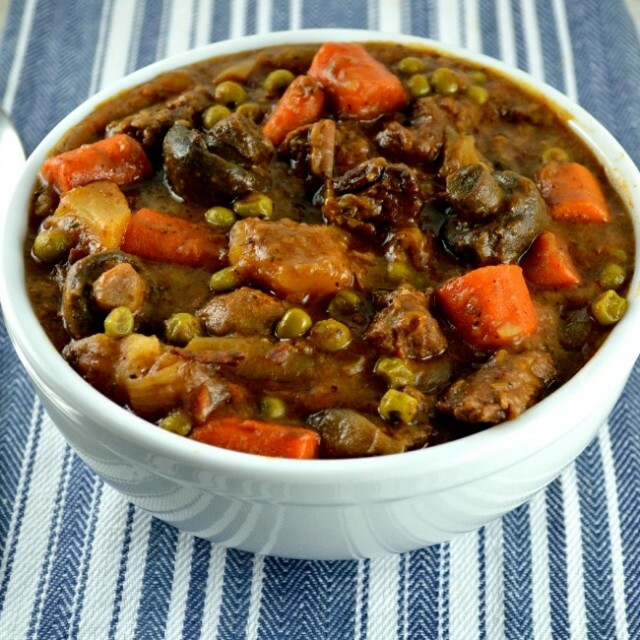 It’s perfectly moist and tender, and it’s just the right amount of sweet. Other cakes, like the blueberry coffee cake Pioneer Woman, makes or the blueberry coffee cake AllRecipes lists are good, but I find them to be too sweet. I’ve also tried the blueberry coffee cake Bisquick prints on the box, and it’s not nearly as moist as this recipe. Offer options – Believe it or not, blueberries aren’t for everyone. 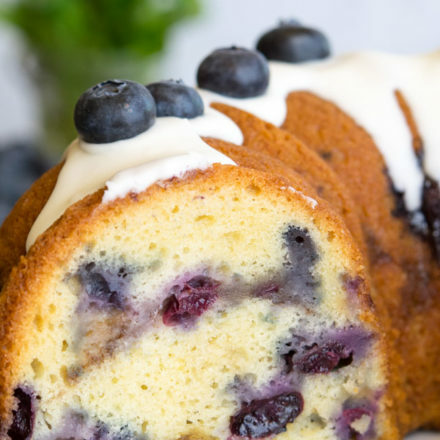 If you’ve got a crowd coming in, but aren’t sure blueberries will please the whole family, this recipe is wonderful served beside my unique, not too sweet, Kentucky Butter Cake or, for a quick grab for your guests, try my Lemon Poppy Seed Muffins, which also go well alongside this Blueberry Coffee Cake. Measure, measure, measure! – When you’re baking a coffee cake from scratch (or any cake, really) it’s important to make sure you measure your flour precisely. Adding too much flour will change the texture of your cake making it dry and heavy. Measuring flour is easy. First, fluff up the flour in the bag or the container with a fork. It should be light and airy. Next, using a spoon, scoop the flour into your measuring cup. Finally, pull the flat end of a knife across the top of the measuring cup. The flour should be perfectly level. While you can sift your flour into a bowl before you measure, I’ve found that’s usually not necessary. Just make sure you give the flour a good fluff, and you’re all set. 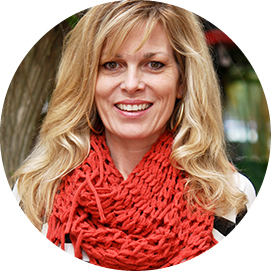 Timing is everything – With this recipe, you’ve got to be mindful of two things. First, remember that all ovens heat just a little differently. If you leave your cake in the oven for just a few minutes too long, you risk drying out your cake. So disappointing! The second thing to remember is that this is a Blueberry Coffee Cake bundt recipe. When you take your cake out of the oven, give it a good 10 minutes or so to cool. As it cools, it will begin to pull away from the pan. Sock It To Me Cake– is delicious Southern butter with an amazing streusel filling. Our cake starts with a cake mix to make prep easy and results foolproof. Apple Coffee Cake – will be the perfect addition to your next brunch with its deliciously moist cake bursting with apples and sweet cinnamon streusel topping! Eggnog Crumb Coffee Cake – is a wonderful holiday treat with a unique nutmeg icing. 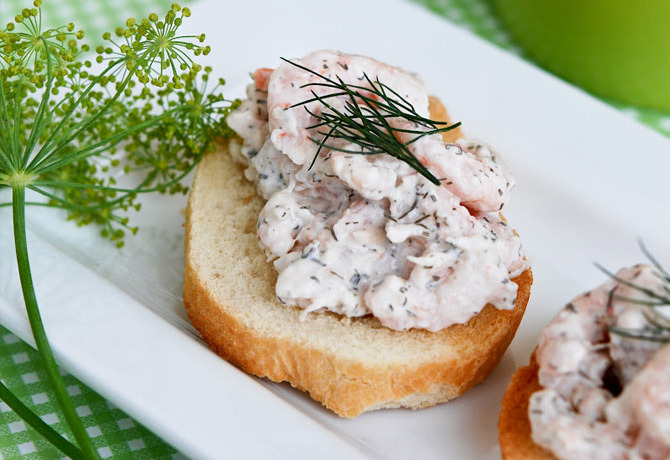 Perfect with a coffee at a December breakfast or brunch! Bisquick Coffee Cake– This incredible Bisquick Coffee Cake recipe is sweet and nostalgic, bringing you back to Grandma’s kitchen with every bite. Sour Cream Coffee Cake– has the power to beautify a dreary day and bring together long lost friends. Enjoy with your favorite hot beverage! 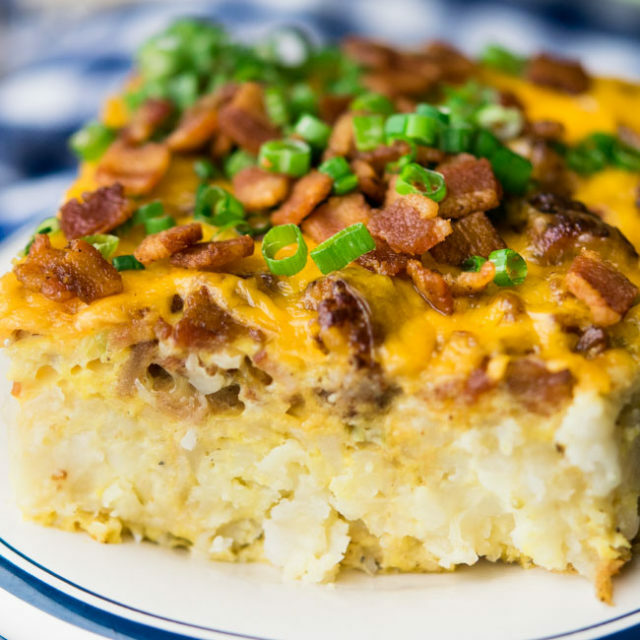 Breakfast Casserole – In this buttery breakfast casserole, colorful strata of ciabatta, prosciutto, green onion, and goat cheese make for layers of happiness and satisfaction! Can this recipe be made in a 13 x 9 baking pan instead of a bundt pan and still get the same moist results? 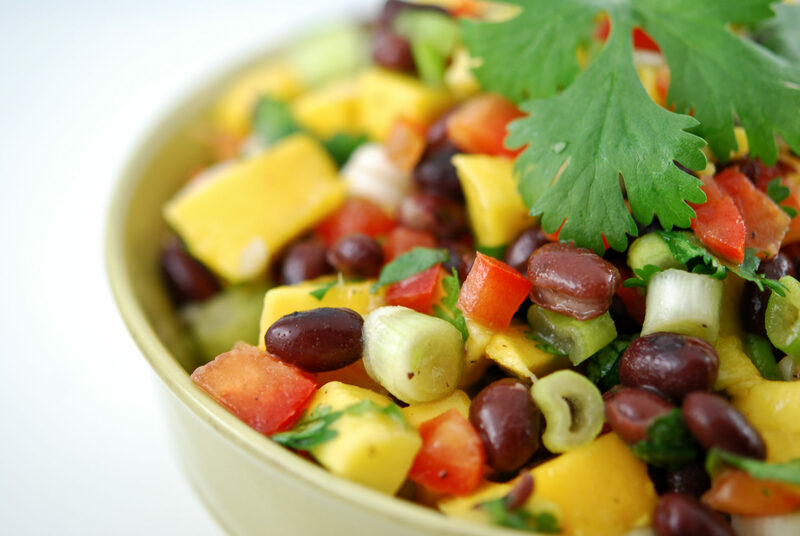 Have you ever used other fruits in this recipe? Wow, this looks so delicious! Blueberry and coffee sounds like an amazing blend. Can’t wait to taste it!